I love all the new Lego Lord of the Rings' minifigs, but I have one favorite: Gollum. They truly captured his creepy nature, yet he still looks cute. 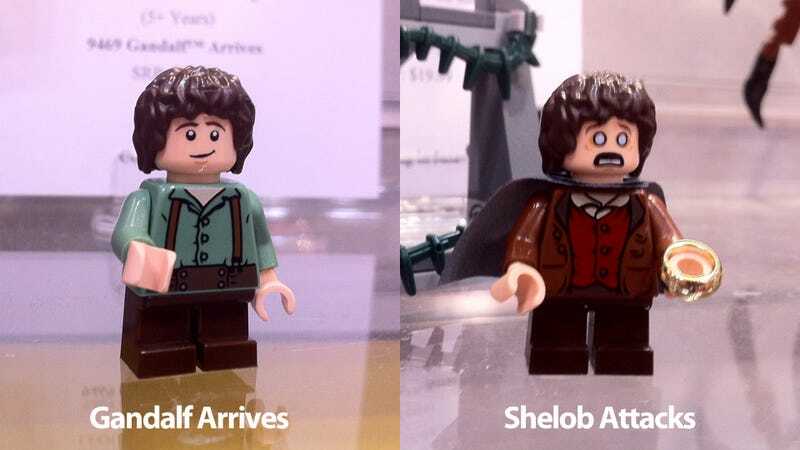 My favorite detail, however, are the two faces of Frodo, showing his transformation through the story. Here's Gollum, holding his precious fish and pissed off. My other favorite is the huge cave troll from the Mine of Moria set.